Take your family on a festive getaway south of the border abroad the Star Princess. Can't-miss excursions include a jungle zipline adventure, dolphin and whale shark encounters, and a traditional clambake and Mexican fiesta in quaint Loreto. Featuring all of our signature features, this cruise ship is truly a shining star of the Princess fleet. Comfortable surroundings and relaxing venues such as The Sanctuary, the Piazza-style atrium and Movies Under the Stars may entice you to spend all your time on board, as Star Princess is truly a destination in of herself. Her Wheelhouse Bar offers a complimentary British-style pub lunch menu on sea days for a treat, and our renowned Sabatini’s Italian restaurant is as authentic as they come. 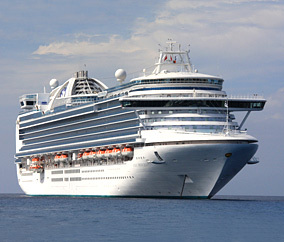 Set sail on Star Princess and you truly will come back new! Sophisticated and upscale, Celebrity earns high marks with couples, honeymooners, and seniors. Staterooms are spacious, spas are full-service, and premium suites come with butler service. An Enrichment Series brings lectures from experts, and some ships feature Cirque du Soleil performances. Destinations include the Caribbean, Alaska, and Europe, while the Xpedition offers a small-ship experience in the Galápagos Islands.